Hobart's only boutique vintage and pre-owned designer clothing store. From large malls in the cities, to local markets, to boutique artisan gifts, Tasmania has plenty to offer if you’re in need of some retail therapy. Local shops are at the heart of Tassie culture, with an emphasis on supporting the local economy and encouraging creativity. Markets are one of the best places to pick up local creations, to grab a bargain or just have a leisurely browse. Many of the cities and towns in Tasmania have local markets, some offering food, homewares and homemade goodies, but often just a bit of everything! There’s a popular, weekly market in Salamanca (Hobart) that offers a wide range of jewelry, fashion, food, handicrafts, glassware, vintage clothes and more. The town of Penguin, on the northwest coast, is home to the largest market in Tasmania. This quirky and eclectic place makes for a great morning stroll through various stalls run by friendly locals, offering second-hand bargains, hand-knitted dolls and toys and souvenirs. How could you resist a cuddly Tasmanian devil teddy? The biggest art hub is in Hobart, with a large arts centre featuring galleries, artist studios and retail outlets showcasing some of the best Tasmanian art and design. Launceston, being the second-largest city in Tasmania, is known as one of the best places to buy wooden crafts including furniture, sculptures and homewares, made of local wood such as blackwood, myrtle and Huon Pine. For high street fashion in Hobart, head to the malls on Liverpool and Murray Street. Here you’ll find the best selection of chain shops and known brands. Elizabeth Street also has a large concentration of well-known national and global retailers. Hunter Street is a great place for something more cultural, such as Aboriginal handicrafts and jewelry. If you’re looking for unique, elaborate handmade jewelry, the markets can be a great place to pick up a handmade keepsake, from silver and gold pieces to tribal style statement jewelry. 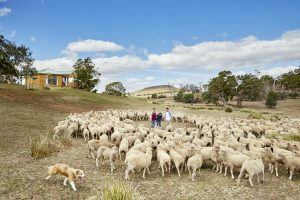 Tasmania has some of the purest, cleanest air on Earth, and with so much natural land and greenery it makes for the perfect living conditions for sheep--which translates to excellent wool. Merino sheep have been bread in Tasmania for nearly 200 years, and the wool has thin fibres which feel soft, light and luxurious against the skin. There are also plenty of outdoor retail stores selling hiking boots, outdoor jackets and backpacks catering to the many adventure travellers and hikers visiting Tasmania. Local markets are perfect for local cheese, jam, craft beer and cider, specialist coffee and tea, and much more. 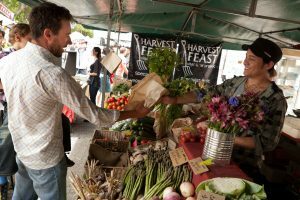 The Saturday farmers market in Launceston offers seasonal fruit and vegetables, eggs, artisan bread, plus hot breakfast options so you can eat as you wander. If you’re a fan of fresh oysters, head to Swansea on the east coast of Tasmania. Take a tour of the farm and enjoy views of the swan river as you share a platter of a dozen oysters. If chocolate is your aphrodisiac instead, head to Kettering for handmade pralines, nougat, plus bars and blocks of luxury chocolate, and celebration creations too. To sample gin, whisky or vodka (or all three) visit one of the distilleries across the state. 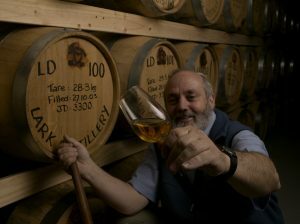 Tastings and tours are available at most distilleries so you can learn about the creation process and sample their sauces. 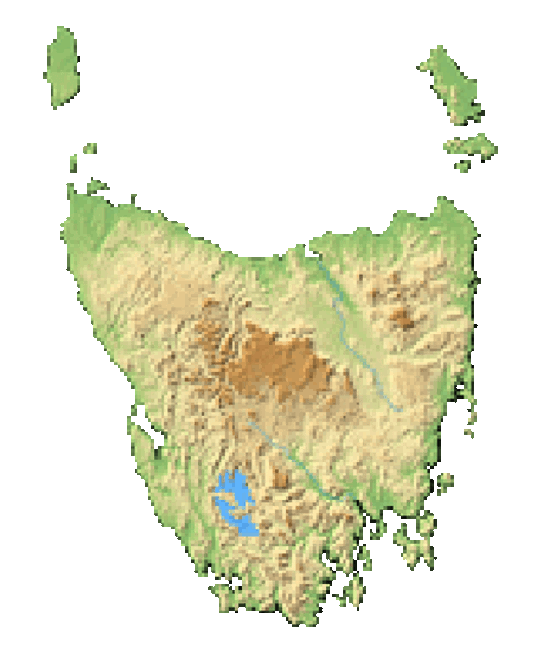 Tasmania produces cool-climate wines such as chardonnay, pinot gris, riesling and sauvignon blanc. 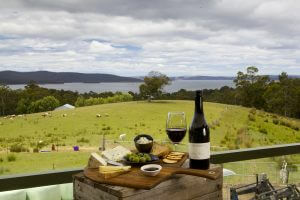 Wineries are located mainly in the Tamar Valley and Pipers River in the north, and Derwent, Coal River and Huon Valley in the south, and offer tastings, tours and fabulous views. Boutique stores can be perfect for one-of-a-kind items. Fine jewelry, designer clothes, skincare and makeup made from natural ingredients in Tasmania, herbal remedies...there’s a lot on offer from the Tasmanian locals. Boutique florists offer beautiful arrangements for your home or for a celebration, and classy homewares, often with a unique or quirky feel, are on. Tasmania not just known for its merino wool--there’s also organic cotton, bamboo and cashmere on offer. Nowadays it’s rare to find a bookshop, but we still have them! 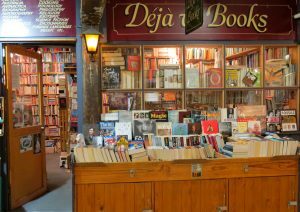 In Hobart you’ll find your literary warm and fuzzies, with friendly bookworm staff more than happy to to give recommendations. Hobart, Devonport and Launceston are arguably the best places to shop for antiques, through smaller country towns may have their own antiques stalls of local markets. Devonport has a popular antique emporium for people hoping to finding a treasure. This slightly chaotic place is great for a those who like a good rummage. Books, coins, dolls, furniture, ornaments, crockery, old suitcases: like many vintage markets, it’s like getting lost in grandma’s attic. Wander in and lose yourself in yesteryear.